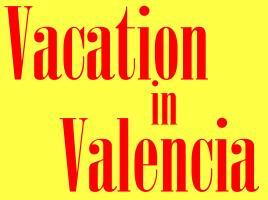 Four years in the making, the Official Twentieth Wedding Anniversary Trip took us to Valencia, Spain. Rosemary's sister lives there with her family, and we wanted to get our kids and their kids together again. We also got in some sightseeing, as you'll see in the next two pages. If you'd like to jump right to Part Two, it's here. 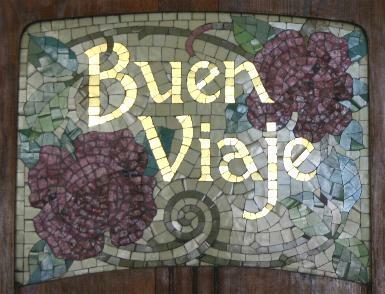 This is the very first photo taken after arriving in Valencia. 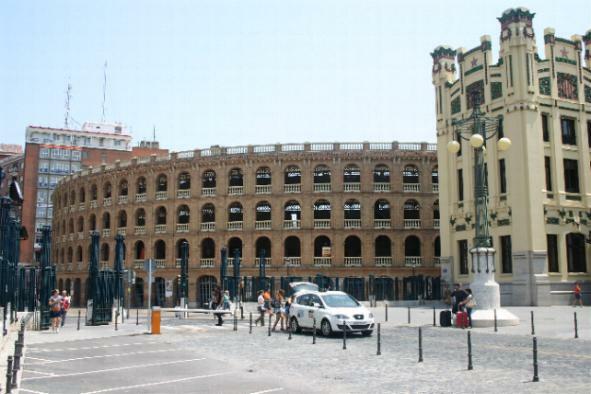 The "Plaza del Toro" is what you probably think it is... the bullring. It's also a general concert and event venue. The resemblance to the Roman Colosseum is more than coincidental, as the Romans were pivotal in the early history of the city. 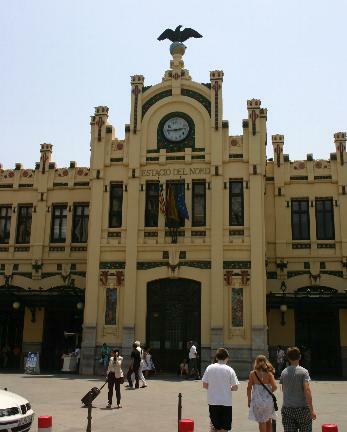 Right next to the Plaza del Toro is the Estacio del Nord, or North Station. This is the main railroad passenger station in the city. (The celebrated "AVE" high-speed rail line has its own station elsewhere in the city.) 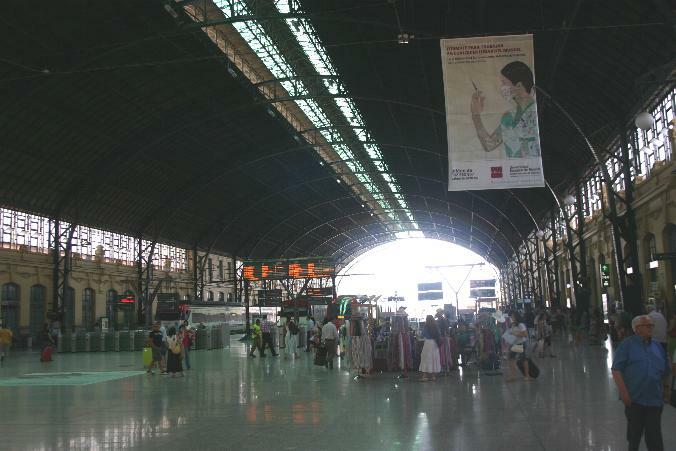 The Estacio del Nord was built in the first decade of the 20th Century-- actually, around the same time as many of our classic railroad stations here in the United States. This station is also a classic of architecture and art and is an historic landmark. 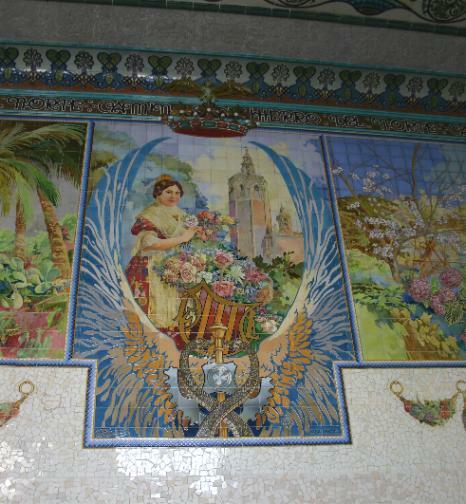 Here's just one example of the artwork found inside the Estacio del Nord. Later in the trip, we would actually visit the tower that is depicted here (above and to the right of the young lady). Remember the name "El Miguelete." 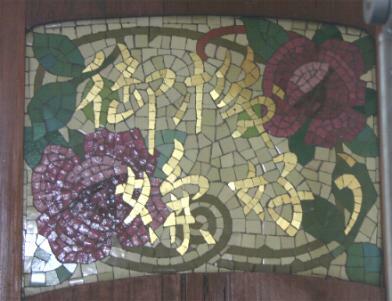 Among the features of the station that I found charming was the series of mosaics wishing the traveler well in many different languages. I'm not sure I found all of them, but here are a few. 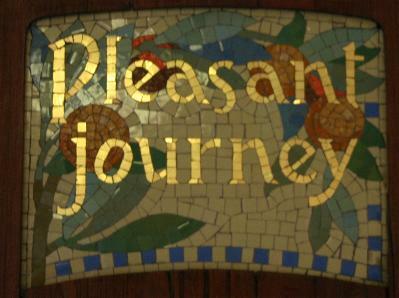 Pleasant Journey! A look at the expansive-- and very, very clean! terminal area. The train we took for a short ride is on the leftmost track. Although in another country, and on another continent (! ), I did what I usually do when I want to sample a train service. I checked the timetables and found a station that was a reasonable length away and also allowed for a short layover before heading back. 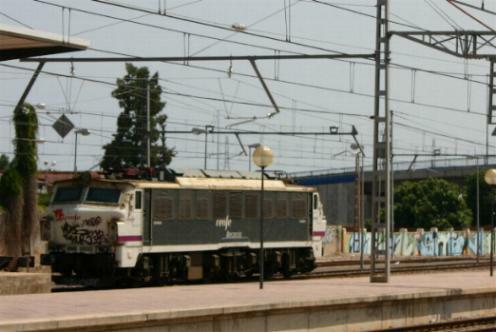 That destination turned out to be Sagunt (Sagunto), about thirty minutes north of Valencia by commuter train. (Unfortunately, we didn't get a chance to try the high-speed rail, but that's OK.) While at the station, I picked out a locomotive awaiting its next assignment. As we waited for the return train to Valencia, I couldn't help but think that this commuter station on a main line with its multiple tracks under catenary for electrically powered trains, was very much like Rahway, New Jersey on the Northeast Corridor. My father and I visited Rahway many times to observe and photograph passenger and freight trains, during the time many years ago when freight trains still shared the right of way. 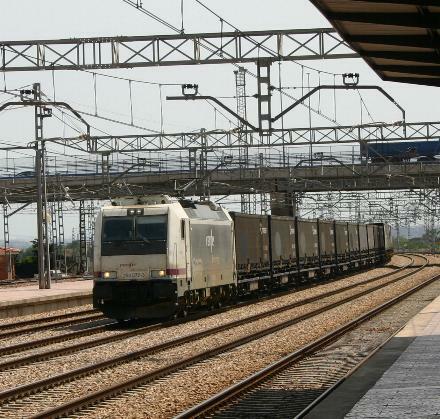 As if to punctuate that thought, what should roll through Sagunt but a freight train! As interesting as this was to a railfan, and even a little bit to the family that came along to the ride, the real attraction of Sagunt is not the train station. 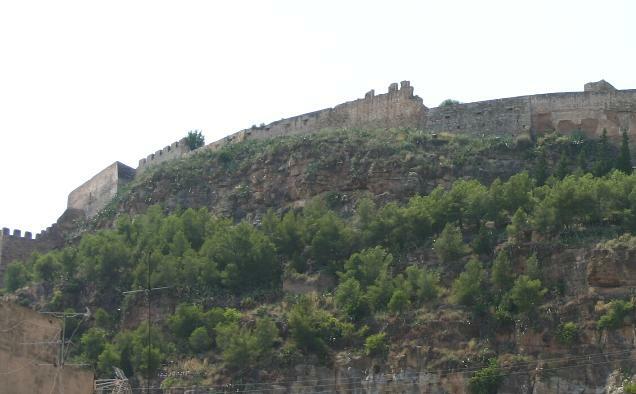 It's the fact that this settlement dates back to the 5th Century BC and the castle ruins on the hill above Sagunt have Roman and Moorish origins. 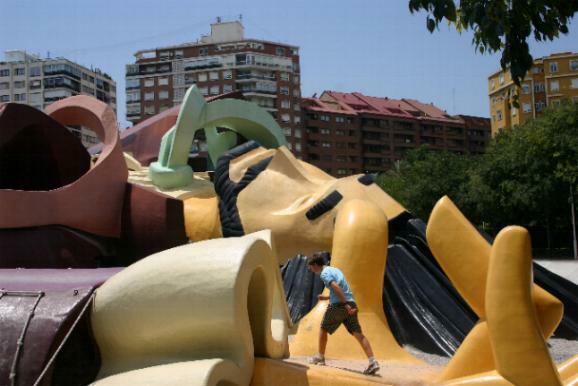 Back in Valencia, we visited the "Gulliver Park." Our nephew / cousin Alex illustrates the sheer size of this children's playground. It's as if Gulliver has traveled to the land of the Lilliputians-- except that we're the Lilluputians! And here, Kieran and Alex are ascending the "shoulder" of Gulliver. 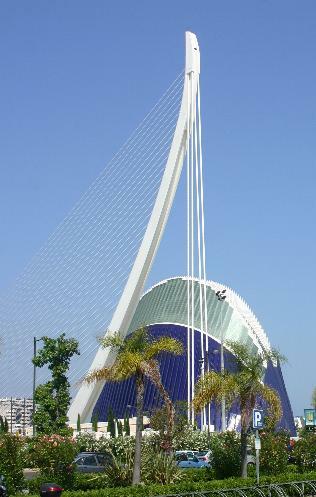 From the Gulliver Park, it's a short walk to the absolutely breathtaking "City of Arts and Sciences." My pictures cannot really do justice to the modern beauty of this collection of buildings, which includes the largest Aquarium in Europe, an Arts and Science Museum, an indoor garden, and what we would call an IMAX Theater (in Valencia, it's "L'Hemispheric"). In this shot is the cable stay framework for a bridge and "L'Agora," a covered plaza for concerts and sporting events. As blue as the sky is, the blue of the building is even more impressive. 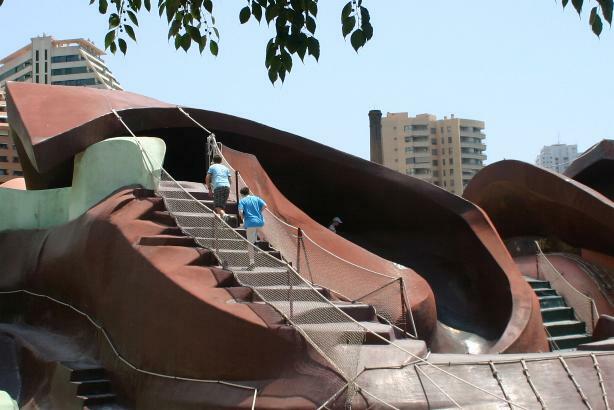 It's probably not surprising that this is the number one tourist attraction in Valencia and is considered one of the "Twelve Treasures of Spain." 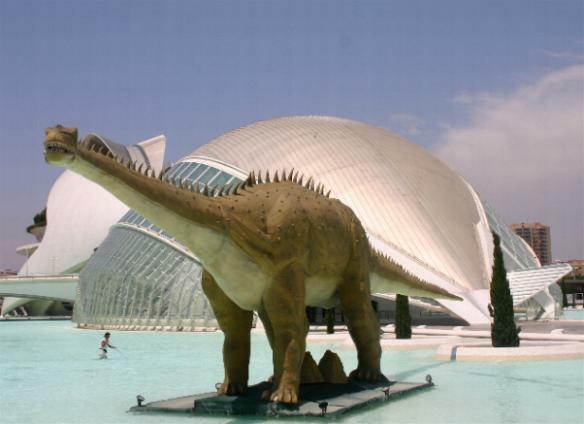 Here's a mix of old and new, to be sure: The modernisitically designed City of Arts and Sciences was hosting an exhibit called "Among Dinosaurs," and so you have a 27 meter long animatronic Diplodocus right in the middle of the place! 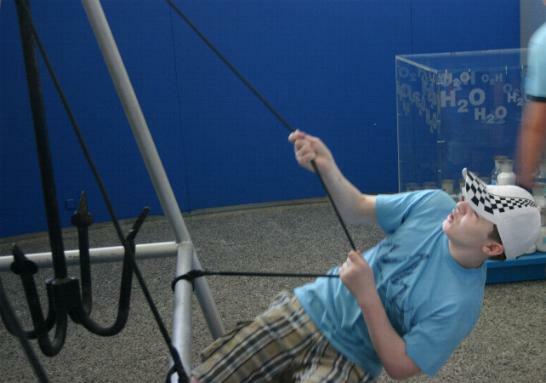 Fun fact about this venue: While most North American museums usually frown on bringing food of any kind inside the exhibition areas, the Science Museum had vending machines inside the exhibition areas! This is a somewhat candid portrait of the cousins together at a rowing display. From left to right, it's Kieran, Lily, Rosemary's sister Heather (aka Lily and Alex's Mom), Thalia (a bit blurry on the rower), and Alex. The Aquarium in the City of Arts and Sciences has by far the largest and most spectacular dolphin show I have ever seen. Captured in mid-air are no less than eight of them (four on the left and four on the right). 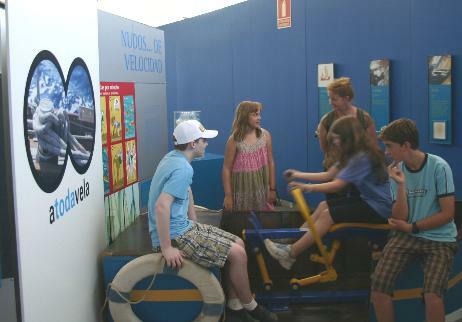 After the show, I attempted to use my very limited Spanish to ask one of the trainers how many dolphins were on site. Fortunately he understood, and answered: twenty-five to thirty of them at any given time. We'll close Part One with the one thing I wish I could have brought back from Valenica: the portrait version of this impressive poster. The City of Arts and Sciences stays open late from July 15 to August 31 and part of this is a nighttime dolphin and synchronized swimming show at the Aquarium. The best I could do without actually stealing one of the posters from a display (not really a good idea) was to photograph this one which was on the back of a bus. Please join us for Part Two... right here!